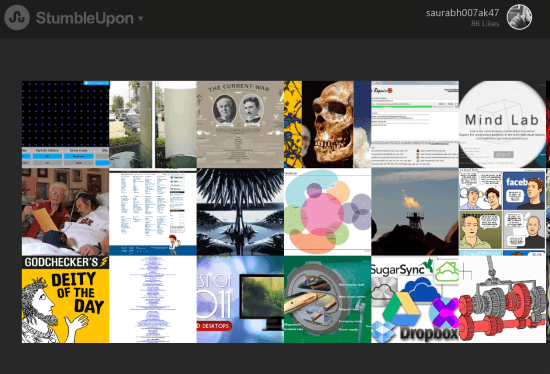 The official Windows 8 StumbleUpon app lets you explore online content matching with your precise interest. By using this StumbleUpon Windows 8 app, you can easily modify your preferences and receive automatic suggestions and recommendations. It is perhaps one of the best Windows 8 apps for finding interesting webpages, videos, and photos across numerous well-defined categories. It must be noted that StumbleUpon is not a search engine and it operates in a completely different manner. Most of the pages that are shown to you are pipe-lined and processed using special algorithms where human feedback plays a major role. To ensure that you get nothing, but the best. Share stuff online utilizing the charm bar. Supports more than 500 Interests categories. Yep! the count is very big, but makes it easy for you to browse stuff. The recommendations are directly displayed on app’s home screen. 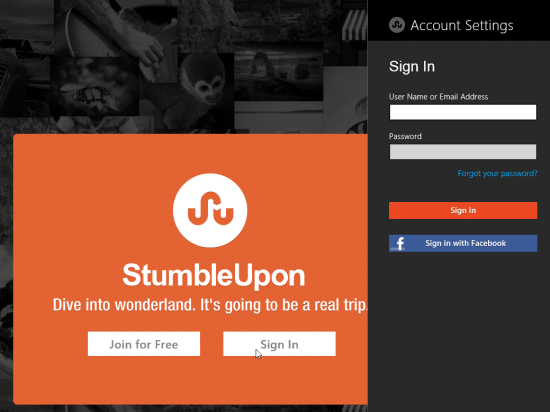 On launching StumbleUpon app for Windows 8, the very first time you will presented the login panel. After, login you will be presented the suggestion as per the interests specified by you. In-case you require modifying your preferences then Right-click on blank region and click on ‘Edit Interests’ button from the bottom bar. On doing so, you will be presented the very long list of interests. 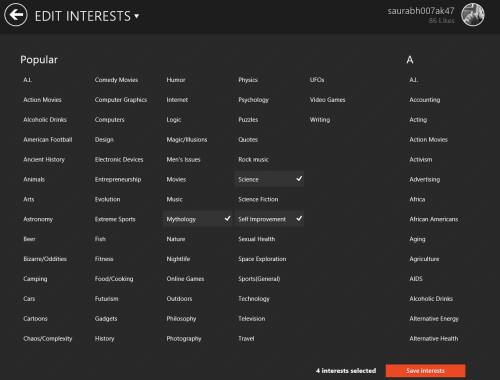 Now, select unselect your interests and then click on ‘Save interests’ button. The list of suggestions on the home screen will change accordingly. To read a story you will need to click on the particular thumbnail and soon the story will load on a new window in dull-screen. Once, you are done with reading, right-click on the screen and then utilize button from the horizontal bar to share, like, or to dislike the page. Also, on the top horizontal bar exists the back arrow button for navigating to home screen. The procedure is same for reading a new story. Also, check out our posts on Social Networking Apps, Facebook Client App, and Twitter App. Open following link in supported web browser followed by a click on ‘View in Windows Store’ button. On the overview page of Windows 8 StumbleUpon app , click on ‘Install’ button. * This 5.4 MB app won’t take much time to install. 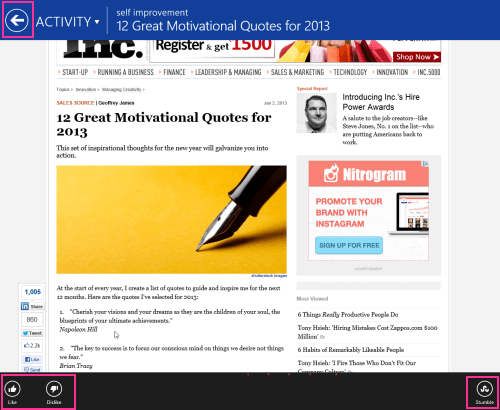 Windows 8 StumbleUpon app is definitely a recommendation by my side. It suits best for people with an explorer kind of soul.